Today I'm guest posting! So head on over to www.2sonsandaparismom.blogspot.com and check out what I had to say! 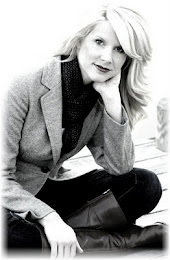 Kristy Cambron is a follower of Jesus Christ, Mom to 2 rowdy boys, an aspiring author, avid reader/writer, and lover of all things vintage Europe - London, Dublin and especially, Paris. She writes Contemporary and Historical Romance with a vintage twist. She is also an author with Hatline Literacy Agency. SO go check out her blog and my guest post!